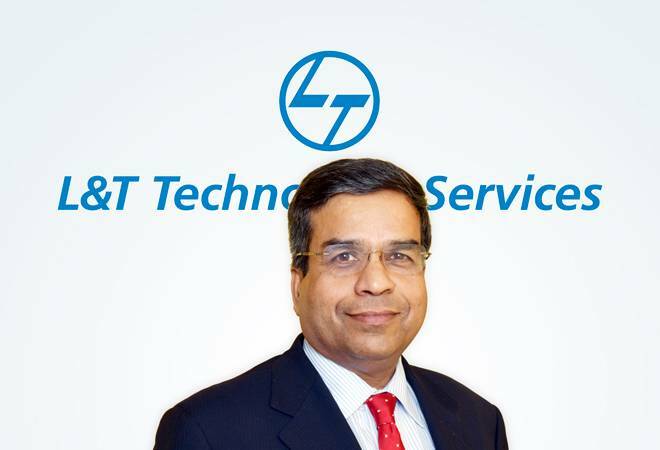 L&T Technology Services (LTTS), a pure-play engineering services arm of L&T Group Company, beat Street expectations for the September quarter of financial year 2018/19, with Keshab Panda, CEO and Managing Director, L&T Tech, upgrading the company's FY19 revenue growth guidance to 21 per cent from 16 per cent earlier. "Looking at the pipeline that we have and the fresh technology transfers, we expect L&T Tech to record an organic growth of 21 per cent year-on-year in FY19 instead of previous estimate of 16 per cent," told Panda to Business Today post Q2 results released on Thursday. The midcap IT company reported 10 per cent quarter-on-quarter (qoq) revenue growth in constant currency (CC) terms at Rs 1,266.1 crore and 5.5 per cent in dollar terms at $177.2 million in Q2 against Street expectations of 3-4 per cent and 2-3 per cent, respectively. Brokerage Prabhudas Lilladher, which has an 'Accumulate' rating on LTTS stock, had modelled 4 per cent dollar revenue growth for the quarter sequentially. It noted that LTTS would require only 0.5 per cent compound quarter growth rate (CQGR) over the next quarters to achieve 21 per cent dollar revenue growth. "We believe the guidance is conservative and company will easily surpass the guidance," the brokerage pointed out in its latest report released yesterday. During the quarter, L&T Tech won six multi-million dollar deals across industrial products, process industry and telecom and hi-tech, and added one $30 million-plus client and three $10-million-plus clients, according to its BSE filing. "One interesting change that we witnessed in Q2 is that all the five of our industry segments -- transport, industrial products, process engineering, medical -- grew in double digits, with industrial products and process industry also turning around this quarter, which had reported moderate growth in the previous quarters," told Panda to BT. However, the revenue growth in telecom segment, which grew at fastest pace in FY18, fell 2.4 per cent qoq in Q2. "We are making a transition from onsite to offshore on some projects. When you do that, numbers go down, but nothing has changed in that segment. We are positive on growth in telecom segment," explained Panda. The company's client contribution to revenues slipped marginally on a sequential basis. However, Panda explains actual numbers have not reduced. "For our top 30 accounts, absolute number has, in fact, increased not decreased. There was one project that got delayed in the last quarter, but otherwise there is no issue anywhere," he said. Meanwhile, US Department of Homeland Security recently released a set of regulatory proposals such as revised definition of H-1B specialty occupation and employment and employer-employee relationship in a manner restrictive for H-1B employers, which are expected to get implemented by August 2019. On asking if it will hit L&T Tech's margins, Panda sounded confident that it will not. "Going by the first look at it, we don't think it would have an impact on our margins. We are awaiting more details on this front, and the picture will get clearer by the next quarter." Panda also said the company is aggressively adopting new technologies such as machine learning and internet of things. The company's revenue from digital and leading-edge technologies increased to 33 per cent and grew by 66 per cent year-on-year in Q2.